I’ll be honest up front: I’m a not a fighting game fan. This is not to say that I dislike the genre, only that when it comes to the mechanics and minutia I can never seem to get into these types of games. I have great envy, however, for those that can, precisely because I have seen how much fun fighting games can be. As a matter of fact, Street Fighter II was the first video game that I ever played, and so despite my inability to immerse myself in the genre, it will always hold a special place in my heart. My only other noticeable venture into fighting games was a little diddy on the Playstation 2 called Tekken Tag Tournament. I was drawn to the game from fond memories of smashing the face buttons of my cousin’s controller mindlessly, trying to somehow make Yoshimitsu do something cool in Tekken 3. 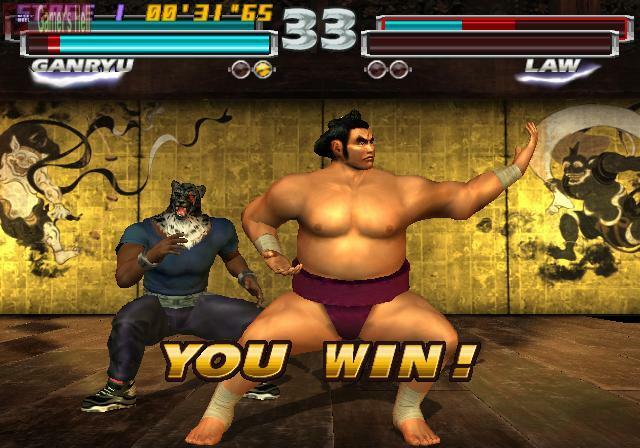 But upon starting the standard arcade mode, I found that Tekken Tag’s primary “gimmick” – the fact that you were fighting with a pair of characters as opposed to one – instantly made it more accessible to a guy like me. Namely, a guy who looks like he is having a seizure simply trying to execute a proper “hadouken”. You see, losing only one member of your team meant defeat. However, your resting member regained health, could be called back in with strength buffs, and could be utilized in combos. My ability to memorize and execute longer button inputs was, well, nonexistant. However, as someone who loves to play games strategically, managing those health bars and playing the tag-team element of the game to my advantage allowed me to approach the game from an entirely new angle that I was…at least competent at. No, I was not a Tekken Tag prodigy, but I had a damn good time and never felt like I just couldn’t understand what was going on. For those who do enjoy the inner workings of the genre, however, never fear. The game is regarded fairly well in the community, and continually makes its way onto “greatest hits” lists for the Playstation 2 (that may have something to do with it being part of Sony’s official list, but it sounds good nonetheless). Many die-hard fans would go as far to say it is the best in the series, though I’m no expert. Not to mention you could play as a damn panda. Boy, did I love that panda.